Newburgh Free Academy defeated Minisink Valley in a non-league game on Friday, September 4, 2009 in Newburgh. NFA won 6-0. 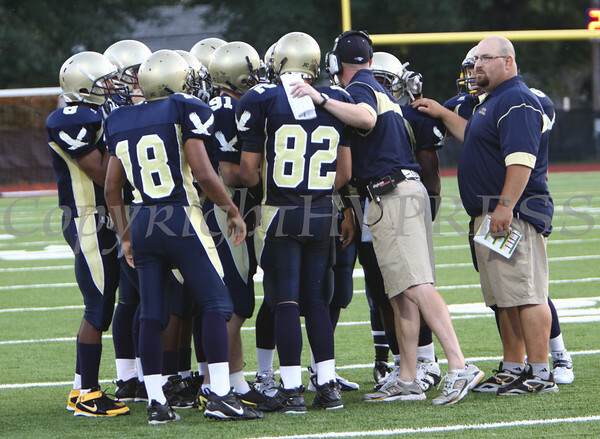 Newburgh Free Academy huddles prior to the non-league game against Minisink Valley on Friday, September 4, 2009. NFA won 6-0. Hudson Valley Press/CHUCK STEWART, JR.